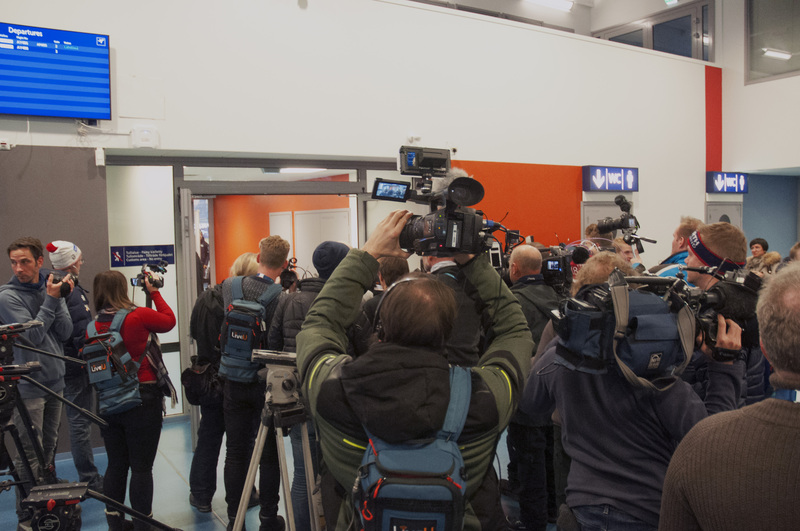 The press waited patiently for Norway’s superstar skier Therese Johaug this afternoon at airport of Kuusamo. Women will race this weekend in Ruka Nordic and the fastest lady will win season’s first World Cup. One of the most followed athletes will be norwegian skier Therese Johaug, who is making her comeback to ski tracks this weekend. – I hope I am fighting for podium. I know it’s hard, but for me it’s really nice to be back and race in World Cup. It’s been a long two and half years. So first of all, I’m just enjoying being here. The press was waiting Therese Johaug. Johaug is more than ready. She has trained harder than ever and the race will show her real potential for this season. One thing is sure, she will be one of the favourite to win the race. – I haven’t been in many races only some test races at home and that’s not same. But I hope that I can get as many races as possible and that I can push myself more and more. There will be many competitors to fight with Johaug. One of them is a Finnish skier Krista Pärmäkoski. Pärmäkoski has raced many times in Ruka and she has been successful here. This weekend will show if Johaug ready for the Flying Finnish skier. – I know Krista is really good in 10 kilometer. She won some races last year and two years ago, so she will be hard to win. On Sunday women will start 10 kilometer Classic Cross-Country Skiing at 11.45am. 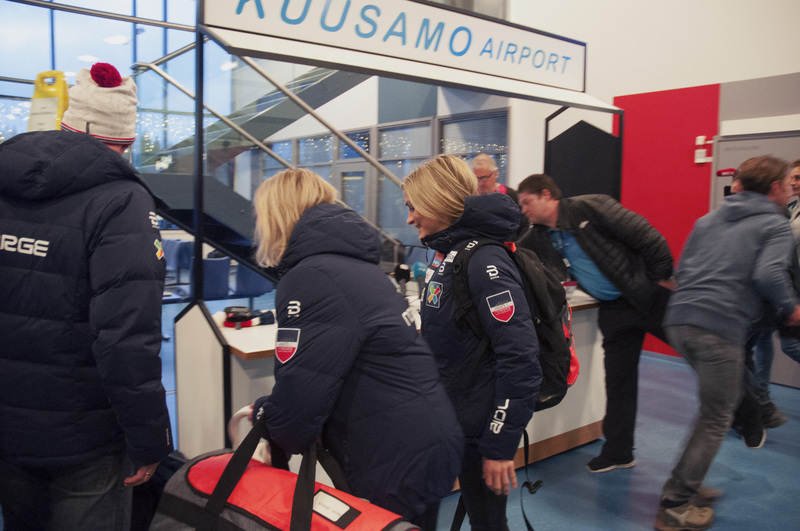 Therese Johaug arrived to Ruka.